Sherylle is currently a Managing Attorney at Harris, Nupen, Molebatsi Inc. The firm has over 80 years of combined experience advising corporates, governments and state owned entities at the highest level and recently non-profit organisations. Prior to this, Sherylle was an attorney at Equal Education Law Centre where she conducted research and policy analysis and advised clients on education rights and legal procedure. She also developed and advised on litigation strategy. 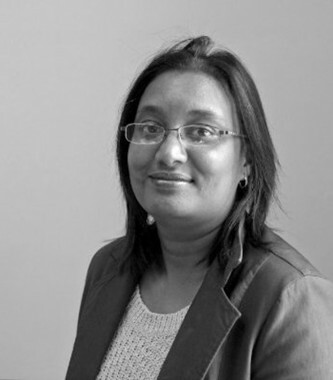 From 2007 to 2013 she managed the Refugee and Migrant Rights programme (Durban office), for Lawyers for Human Rights where she assisted asylum seekers and refugees with application for asylum, appeals and judicial reviews. She also conducted refugee status determinations for UNHCR to identify refugees in need for resettlement.